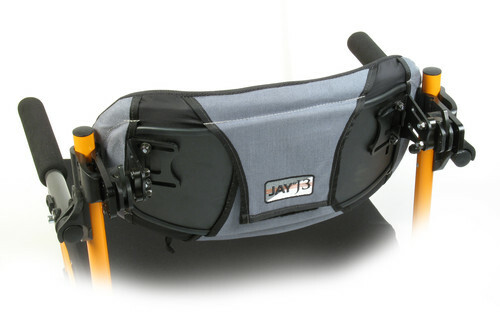 The JAY® J3™ wheelchair back product line offers a multitude of width, height, and contour depth back shells to fit the back to the client. Each back is lightweight and adjustable, with numerous hardware choices allowing for easy installation. Designed for clients with postural or spinal deviations - including wider trunks and narrow hips, narrow trunks and wider hips, or curvatures - the NEW CradleU Lateral reshapes the existing contour of the off-the-shelf J3 back to match the client. The CradleU adjusts the contour by attaching directly to the J3 back shell beneath the foam, while the support plates adjust in angle to match the user's torso. The CradleU's intuitive design provides seamless support that minimizes interference with propulsion. Also new to the J3 back are the Whitmyer Heads Up™ and Adjust-a-PLUSH headrest pads and LINX and ONYX headrest mounts! 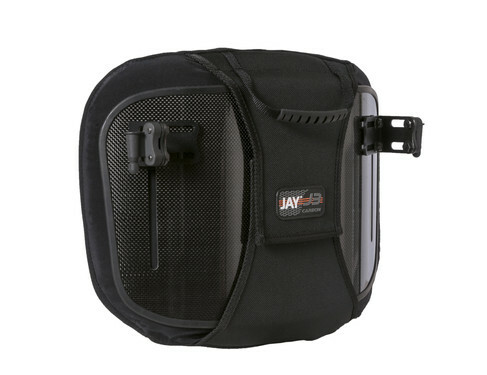 The Jay J3's solid shell is available in three contour depths to provide posterior and lateral pelvic and lateral thoracic stability to clients with varying postures and functional needs. 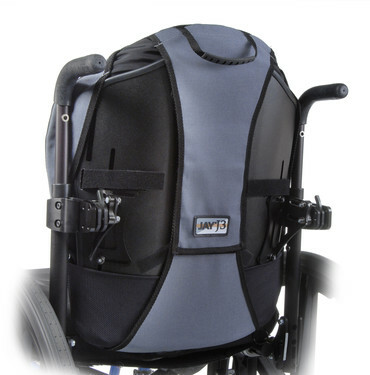 The JAY J3 back is available in four support height levels to provide support for clients with wide ranges of torso heights and levels of injury. • Lower Thoracic - 6.5" to 9.5"
• Mid Thoracic - 12" to 15"
• Upper Thoracic - 16.5" to 19.5"
• Shoulder - 21" to 24"
The J3's hardware offers angle and width adjustability to improve visual orientation and function. Five options are available to accommodate a spectrum of client priorities and wheelchair configurations. • Lite Mount (pictured) - fixed hardware for a rigid mount that adds only .61 lbs. The J3's Microclimatic cover features a wicking material and a layer of 3DX space fabric to promote airflow and dissipate heat and moisture, keeping the client clean and dry. The new Lycra top surface provides a smooth, soft sitting surface that resists snagging and catching on clothing. The J3's new, optional inner cover provides extra protection against moisture and odor build-up. Width Range 12" to 26"
Height Lower Thoracic: 6.5", 8", 9.5"
Mid Thoracic: 12", 13.5", 15"
Upper Thoracic: 16.5", 18", 19.5"
Shoulder Height: 21", 22.5", 24"
22" to 26" widths: 500 lbs. Lateral Contour Support Posterior: 2.2"
Posterior & Deep Lateral/Contour: 6"